The 2019 Vitamix Mother’s Day Sale has begun! Vitamix is offering discounts of $50 to $100 on all new machines in the US and Canada. There are also some reconditioned deals. Here is my advice on the best buys. 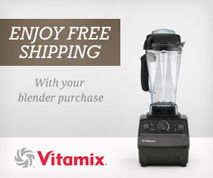 Also note that clicking any Vitamix link on this site applies free shipping and an additional $20 off Ascent models. If you want to save money, or if the new Ascent features don’t appeal to you, there are a number of classic models on sale. As far as pure blending performance and power go, these are no different from the more expensive Ascent models. The lowest-priced model is the E310, which is set to be $50 off, bringing it down to $299.95 ($399.95 CAD). As I write in my E310 review, it comes with everything you need, and nothing you don’t. The most premium classic model is the Pro 750. If you don’t want the newfangled container detect system of the Ascent series, but otherwise want top of the line, this one is for you. If you choose the brushed stainless or copper finish, the base has a fully metal shell. This makes it more elegant, and also muffles sound a bit more. In addition to the metal shell options, the 750 comes with 5 preset modes. The Reconditioned V1200 is $50 off. However, that only brings it down to the same price as sale price for a new A2300. If you’re interested in the 20-oz blending cup that comes with the V1200 then this is a decent deal. On the other hand, if you weren’t planning on getting the cup, then I recommend either getting the new A2300, or waiting until May 31st, when the Reconditioned A2500 and A3500 are scheduled to be $100 off. If you’re not interested in a “smart” blender, right now there is a hidden deal on the Reconditioned Next Gen 7500. If you follow that link and then add it to your cart, there’s an extra $160 discount that shows up. 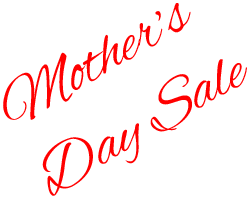 This deal could expire at any time, and it might not last through Mother’s Day. The Vitamix sale is scheduled to continue through the week following Mother’s Day, with discounts expiring on May 19th. If you click through one of my links, you’ll get a free shipping promo with no order minimum. If you are thinking about getting a Vitamix, don’t miss out on this sale! If you are struggling with the myriad options, I am happy to answer questions. Thanks for the info but I couldn’t find any sales through the link. The sale will only display if you view it from a U.S.-based IP address. If you are abroad but have access to a U.S. mailing address you can place a phone order and take advantage of the sale. If you phone in, remember to mention code 06-007021 for free shipping. I followed the link for the mothers day sale as I am interested in the 750, however the price doesn’t reflect any savings at all and I am in the US. You’re right that the 750 is in a different situation than the reconditioned units that are part of this sale. The reconditioned units have a temporary price reduction. However, Vitamix just started offering the Pro 750 in black and red, which are $50 less than the stainless finish that used to be the only option. The 750 pricing will probably continue past Mother’s day, but I still thought it was worth pointing out because if you don’t need the stainless it is effectively a price drop. Thanks Adam, appreciate your quick response. We are still debating between the 750 w/presets and the 7500. Our experience is with a competitor where the presets actually change the speed up and down according to what you are making. From what I have read, these presets only time how long it runs… making the price difference questionable. Are you referring to Blendtec? Because their presets are similar in that they cycle through a programmed set of speeds. Neither Blendtec nor Vitamix presets are sensitive to what is being blended beyond your selection of which preset to use. But remember that the presets are more sophisticated than just turning the machine on and off – they do go through different speeds. Yes, was referring to the Blentech. It cycles up and down when using a pre-set. I had heard all the vitamix does it time the cycle. Thanks for clarifying that the vitamix also does the same. Thanks for the free shipping coupon code, but after I applied it, it still showed the shipping fees. The way it should work is the cart will still show the estimated shipping charge, but after applying the code there will be an added line that subtracts off the shipping charge. Please double check for that extra line. If it’s not there, please try to re-apply the code, and if that does not work, try a different browser if possible. I just checked to see if it is working, and the free shipping appeared properly. Please let me know if you continue to have problems because we should be able to get it to work. Thanks, Adam. I’ve used a different brower and it worked instantly! Really appreciate your help. Thanks for the detailed reviews and the breakdown of discounts. I’m leaning towards the 7500 (I like the reduced noise). I am concerned by a review which complains (with pictures) of moisture collecting in the inaccessible area under the blade “between the drive gear and the jar”. Is this something you have experienced, or does your jar dry out completely if you leave it unused a few days? Vitamin customer support has apparently said this is common across all jar types, but the reviewer did not experience it with the 5200 model/narrow jar. Thanks for your advice! I did have that happen once, but it was with a 32-oz container, and Vitamix replaced it for free. If it happens within the warranty period, Vitamix will likely replace the container. If it happens outside of warranty, you can probably fix it yourself by unscrewing the retainer nut, drying it, then screwing it on tight enough. Vitamix prefers to avoid having people screw on the retainer nut themselves though, because if it’s too loose it leaks, and it is possible to over-tighten it. Long story short, that one reviewer’s experience shouldn’t influence your buying decision. Thank you, that is very helpful information! I too am excited by the Pro 200 with Compact Container. The lower profile looks adorable. Currently stuck between Pro 200 vs. Total Nutrition Centre 3. Is there a big difference between the two? Others have said that TNC3 is less noisy than TNC (but I think the only difference is the preset). When making smoothies, would the smaller 48-oz be a lot more difficult to use than a taller, larger 64oz? Thanks for your detailed blog! The 48-oz container is not any harder to use than the tall 64-oz container. (That is, unless you are trying to blend more than 48 oz at once….) If anything, the 48-oz container is a little easier in terms of scraping things out because it’s easier to reach the bottom, though that’s only necessary when making thicker blends. in the canadian website, the 7500 is $589.00, which is only $90CAD more than the Pro 200 with the 48-oz container. Since I am now content with either a 48 or 64 oz container, the main difference comes down to noise. Is the noise significant to warrant a $90? You use a 7500 on a regular basis, was it worth the upgrade from the 5200 / first generation? The noise difference is small—they’re both loud, but not deafening. I like the 7500, but I wouldn’t be as happy with it if I didn’t also have the 32-oz container for when I want to blend smaller amounts. Given the choice I would pick the 7500 plus 32-oz container, but if I weren’t running this site, I’d probably still be happily using my classic machine. Whether it’s worth the extra cost is really a personal question, with a different answer for everyone. Thanks for the info. I’ve wanted a Vitamix for a long time and lucked into your website and the Mother’s Day sale. Just bought a Certified Reconditioned Standard Programs – Red. Wooohoo, can’t wait! I cannot believe your website exists! It has answered most of my questions about the myriad of choices Vitamix offers. Do you know if you buy a reconditioned unit if you can buy the extended warranty after the initial purchase – or is it a “now or never” kind of thing? I’m so glad to hear my site has been helpful! Vitamix’s policy used to be (and probably still is) that you can purchase the extended warranty anytime within the initial warranty period, but it would be $120 instead of the $75 at time of machine purchase. I haven’t checked Vitamix’s policy on this recently though, and so the only way to be 100% sure would be to call them at 800-848-2649. OK, I just confirmed, and here is their current policy: you can purchase the 3-year extension for $75 if you get it within the first 30 days of ordering your machine. After that, it goes up to $120, and you can buy it any time within the original warranty period. Thank you! Just ordered the A3500 and got the free priority shipping too.